Dave Gurman has been editor of The Riders Digest since issue 101 in January 2006 a period in which the circulation has increased from around 6,000 to 32,000 per month, making it the third most popular motorcycle magazine in the UK today. Anyone who enjoys his take on the world of motorcycling - in particular the humorous and decidedly humane way that he put it across - is guaranteed to relish this collection of his earliest contributions. 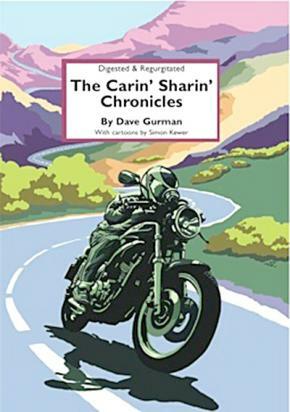 This compilation covers subjects as diverse as parenthood, further education, September 11th, depression, Ducatis and of course despatch riding and it is guaranteed to provide an engaging read for anybody with a passing interest in motorcycles - if not life itself.